Change The World by making your bed. University of Texas at Austin, 2014 Commencement Address, Admiral William H. McRaven. This is extreme inspiration. Every word spoken with passion and truth. Love it. 2. Nappiness – Research done by the University of Hertfordshire have coined a new word to describe the contented state that follows a brief daytime doze. They also showed that naps under 30 minutes made people more focused creative and happy. 4. Costume designer Romy McCloskey did surgery on a butterfly. A monarch tore his wing while emerging from his chrysalis, She transplanted his wing by using a hanger, scissors, tweezers, talc, contact cement and a toothpick to attach a new wing she took from a dead butterfly. He flew away the next day. 5. 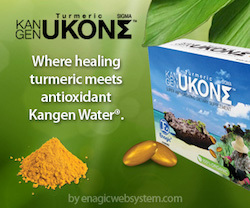 Drinking molecular hydrogen dissolved water (Kangen) had reduced oxidative stress and improved Parkinson’s Disease features in animals. A pilot study was carried out in people with Parkinson’s Disease who were taking L-dopa. Each person drank either a litre a day of molecular hydrogen water or only water (without the molecular hydrogen). Symptom scores improved in those people who drank molecular hydrogen water and worsened in those people who only drank normal water. 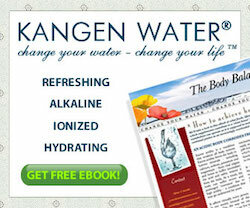 The drinking of molecular hydrogen water was found to safe and well tolerated. It would therefore be an easy means of delaying or reducing symptoms. A larger clinical trial is intended. For a printable version of this article click here. For more news go to Parkinson’s Disease News. 6. Octopuses are older than dinosaurs. 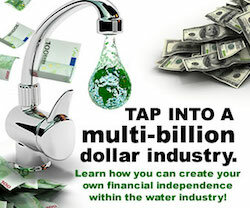 It is just another confirmation of all the health and wellness that results from the consumption of Kangen water. Dr. Susan Lark is one of the foremost authorities in the fields of clinical nutrition and preventive medicine. A graduate of Northwestern University Medical School, she has served on the clinical faculty of Stanford University Medical School, and taught in their Division of Family and Community Medicine. Dr. Lark is a distinguished clinician, author, lecturer and innovative product developer. Through her extensive clinical experience, she has been an innovator in the use of self-care treatments such as diet, nutrition, exercise and stress management techniques in the field of women’s health, and has lectured extensively throughout the United States on topics in preventive medicine. She is the author of 13 best-selling books on women’s health including The Chemistry of Success.